The U.S. Army Corps of Engineers, Sacramento District, will hold the next Regulatory Program Workshop on Friday, July 13, 2018 from 1:30 pm to 4:00 pm at the Sacramento District Headquarters in Room 814. 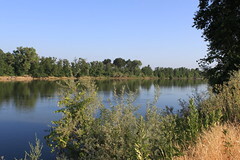 Originally established as the “Regulatory Information Forum” in 2006, the Regulatory Program Workshop is held quarterly to provide the public with information about Corps’ permit requirements and updates on program execution in the Sacramento District. The workshop is open to interested parties including the regulated public, consultants, environmental organizations, and Federal, state and local agencies. The July workshop will focus on the Corps’ 404(b)(1) guidelines and alternatives information requirements for Individual Permits. The workshop includes an overview of the regulations, how they relate to the overall permit process, and how applicants can provide better information, so we can make timely permit decisions. There is no charge for the workshop but space is limited to 75 people, with no more than two people attending per organization. Register for the workshop by emailing CESPK-REGULATORY-INFO@usace.army.mil with the subject line reading “Regulatory Program Workshop” and your name, organization name, email and telephone number in the body of the message. Your email should be received by June 29, 2018. Unfortunately, due to space and security issues, those who did not register will be turned away. Non-US citizens need to immediately contact the identified Point of Contact to ensure Foreign Visit Request forms are completed 60 days in advance of the published course start date. Non-US citizens will not be allowed to attend if the FVR is not completed, submitted within the specified timeframe, and approved by the designated authority. If you sign up for the workshop and later find you are unable to attend, please notify us by sending an email to CESPK-REGULATORY-INFO@usace.army.mil as soon as possible so that another may attend. If you have any questions, please contact Paul Maniccia at 916-557-6704 or paul.m.maniccia@usace.army.mil.